Eric F. Parker is an Executive Director and Wealth Advisor in the Charlottesville office of Morgan Stanley. Eric works with a select group of families to help coordinate their overall wealth management plans. His disciplined, five-step process seeks to address the key wealth management areas that are of greatest importance to his clients relating to the accumulation, protection/preservation, and distribution of wealth. 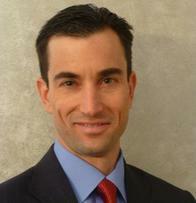 Eric began his career working in the financial and businesses consulting world. He joined Morgan Stanley in 2002 in the Denver, CO office to consult with individuals and families on their wealth management needs. In 2004, he relocated with Morgan Stanley to the Charlottesville, VA office to be closer to family and put roots down in the town where he and his wife went to school. A highly regarded professional, Eric has earned the title of Wealth Advisor. This designation recognizes his commitment and sophisticated approach to helping clients meet complex wealth management requirements. He is also a CERTIFIED FINANCIAL PLANNER™, a highly recognized designation in the financial services industry, awarded to those who have met the rigorous experience and ethical requirements of the CFP® Board, have successfully completed financial planning coursework, and have passed the CFP® Certification Examination. Eric’s education and experience provide a strong platform for a comprehensive approach to wealth management. We work comprehensively with a select group of families to help coordinate their overall wealth management plans. We do this utilizing a process that seeks to address the key wealth management areas that we've found to be of most importance to our clients. This covers areas such as the accumulation of wealth, the preservation of wealth, and the distribution of wealth. By leveraging the vast resources of our firm, we give our clients access to some of the best minds in the business. This entails areas such as our due diligence process, our investment experience, our trust and estate specialists, and many other areas. We provide this high level of service here in Charlottesville in a very customized and personalized way, serving as a sounding board, proactively sharing relevant ideas, and being accessible for any questions or issues that may arise on this long-term journey we take together. Eric and his wife, Kristina, live with their two children, Amber and Justin in Charlottesville. When Eric is not working with clients, spending time with family, or participating in community service, he enjoys his other passions of tennis, biking, hiking, and the great outdoors. Ready to start a conversation? Contact Eric Parker today. 14Income generated from an investment in a municipal bond is generally exempt from federal income taxes. Some income may be subject to state and local taxes and to the federal alternative minimum tax. Capital gains, if any, are subject to tax. 17Morgan Stanley’s investment advisory programs may require a minimum asset level and, depending on your specific investment objectives and financial position, may not be suitable for you. Please see the Morgan Stanley Smith Barney LLC program disclosure brochure (the “Morgan Stanley ADV”) for more information in the investment advisory programs available. The Morgan Stanley ADV is available at www.morganstanley.com/ADV. 18Tax laws are complex and subject to change. Morgan Stanley Smith Barney LLC (“Morgan Stanley”), its affiliates and Morgan Stanley Financial Advisors and Private Wealth Advisors do not provide tax or legal advice and are not “fiduciaries” (under ERISA, the Internal Revenue Code or otherwise) with respect to the services or activities described herein except as otherwise provided in writing by Morgan Stanley and/or as described at www.morganstanley.com/disclosures/dol . Individuals are encouraged to consult their tax and legal advisors (a) before establishing a retirement plan or account, and (b) regarding any potential tax, ERISA and related consequences of any investments made under such plan or account. 20The returns on a portfolio consisting primarily of Environmental, Social and Governance (“ESG”) aware investments may be lower or higher than a portfolio that is more diversified or where decisions are based solely on investment considerations. Because ESG criteria exclude some investments, investors may not be able to take advantage of the same opportunities or market trends as investors that do not use such criteria. 21Structured Investments are complex and not suitable for all investors, and there is no assurance that a strategy of using structured product for wealth preservation, yield enhancement, and/or interest rate risk hedging will meet its objectives.